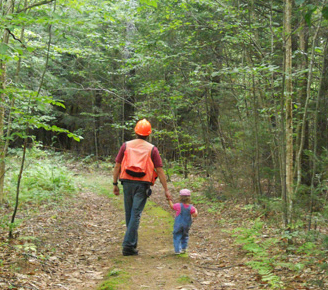 Integrated Forest Management, Inc. is a Maine-based company keeping the environment green for generations to come through responsible forestry and land management projects. Jeremy Stultz, Vice President of Integrated Forest Management, Inc. (IFM), is often asked to define the job of a forester. Some days involve a walk in the woods with landowners to visualize their goals for the forest they own; other days are spent inputting data for mapping projects. A day’s work can also include monitoring a timber harvest, and often whole days are spent in the woods gathering information about the trees, wetlands, wildlife, soils and other elements of the ecosystem. 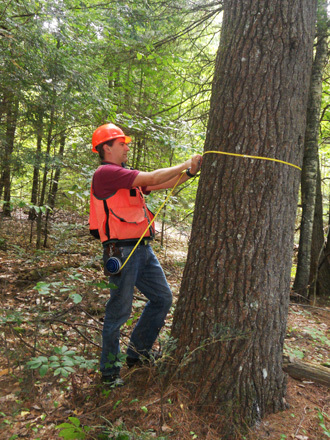 In fact, foresters are frequently seen hugging trees... with a tape measure in hand. IFM holds a Forest Stewardship Council (FSC) forest management certificate, so that they can work with participating landowners to deliver products to the market meeting globally recognized and regularly audited social and environmental standards. In fact, you may be familiar with the FSC logo found on tissue boxes, reams of paper, lumber and other wood products. Stultz reminds us that woodland owners can be part of this process to raise standards, whether they have 10 or 10,000 acres. © 1996 Forest Stewardship Council A.C. Integrated Forest Management, Inc. is an independent company in Turner, Maine started by four men who found themselves with common goals in the forestry industry: stewardship, sustainability and integrity. 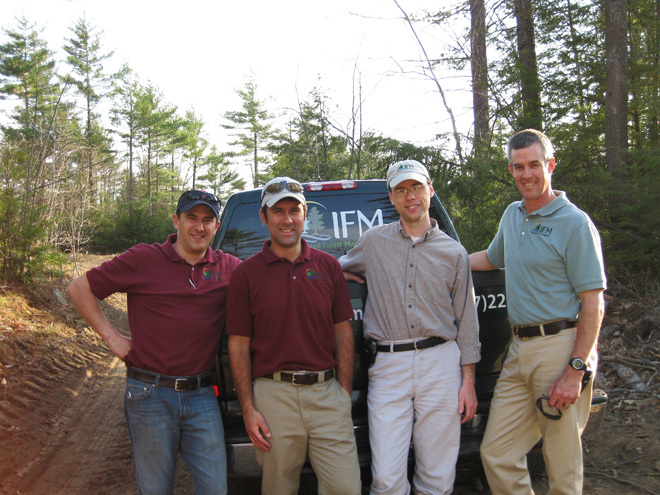 Mark Rabon, Jay Braunscheidel, Jeremy Stultz and Aaron Drake created IFM in 2007 as a company that provides the usual forestry services such as planning and monitoring timber harvests for small woodlot owners, large timberland companies, municipalities, and even national forests in Maine and New Hampshire. Their objective though is to also extend the common perception of forest management and “integrate” land management into their services. “Many landowners are not aware of the environmental and economic resources they have in their backyard,” says Stultz. IFM develops land management plans that incorporate information about landscape aesthetics, wildlife (including endangered or threatened species), riparian areas (wetlands, vernal pools, streams, ponds, etc. ), soil and water quality as well as the plants and trees. Educating woodland owners as well as the community at large is a crucial element of any sustainable management practice. One hurdle to investing in timberlands can be understanding land value, lumber industries and natural risks (such as tree-eating pests). This is where a company such as IFM can provide education and consulting to investors and landowners, as well as manage the land itself. It is an environmental gain that can be an economic gain as well. What a forester really does is see the forest and the trees. This knowledge of land as an abundant and precious resource is the important balance for sustainable forestry. IFM defines this as a “conservative approach that will ensure a dependable source of products and services to the local and global market.” Woodland owners can be a part of this movement by working with responsible, certified foresters to understand and manage the resources they hold. We can all be a part of raising environmental standards by purchasing FSC certified products and making “green” investments in sustainable forestry; look out for their logo to easily recognize approved products.